Come see Cian O’Brolchain and brothers, Mingma Tsiri Sherpa & Pasang Tenzing Sherpa as they talk about today’s Everest. Mingma has had twenty nine 8,000m successful summits and been involved in many rescues including the disaster in 1996, 2014 and more recently the earthquakes in Spring 2015. Pasang has 16 years climbing experience and was one of the first Nepalese to become an IFMGA mountain guide and Mountaineering Instructor. He has been heavily involved in running training courses for the Sherpas and getting them up to the highest standard of mountain guiding. Mingma Sherpa and Pasang Sherpa, the two most prolific climbers of Nepal, are currently in Ireland speaking in various venues around the country about their climbing experiences in the extreme adverse situations and their effort in rebuilding Rolwaling village, the most beautiful climbing and trekking haven of Nepal, since the devastating earthquake that struck the mountain studded country on 25th April 2015. Rolwaling village was utterly devastated by the earthquake of April 25th 2015. The community have been working tirelessly to rebuild their village and their livelihoods ever since. They are hoping to promote Tourism in Nepal via Ascent Himalayas, Nepal Tourism Board and the Nepal Ireland Society. Tourism is the key back bone of Nepal’s economy and is a much needed source of foreign currencies especially in the aftermath of the unprecedented natural disaster that crumbled country’s economy and shattered the livelihood of the common people residing in the mountains. 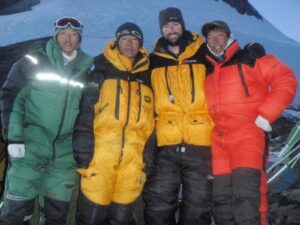 In 2012, Mingma set up his own company called Ascent Himalayas (The Sherpa’s Company)www.ascenthimalayas.com. Climbing is currently changing dramatically in Nepal, with many Sherpas now setting up their own companies instead of working for Western based ones. 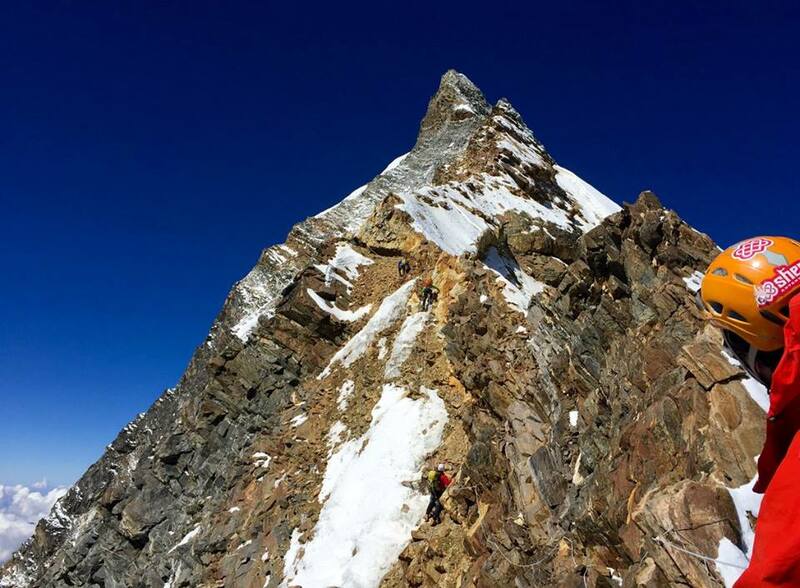 The increase in training to International Climbing Standards for the Sherpas is also helping to progress this. Mingma Sherpa is one of the most successful Sherpas ever, having summitted Mount Everest 19 times (and counting)! Born in a family of mountaineers in the famous Rolwaling valley, near the Everest Region, Mingma is one of the most famous sherpas of Nepal due to his incredible track record in climbing the highest summits of the Himalayas. Over the past 25 years, Mingma has summitted Mt Everest 19 times and he is one of the first Nepalese to climb K2, the world’s second highest and arguably most dangerous mountain. Mingma is also in the Guinness Book of World Records with the highest number of climbs of Mt Everest between brothers (56 successful climbs between the seven brothers). Mingma is an incredibly accomplished mountaineer with twenty nine successful summits of 8000m peaks. 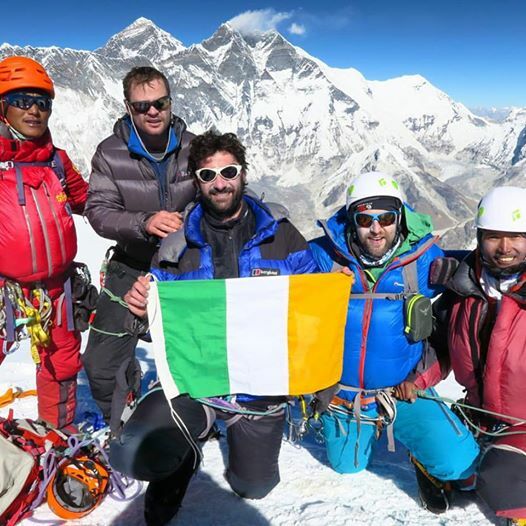 He has also been directly involved in many rescues, including the 1996 Everest Disaster (featured in the recent movie Everest), the devastating Avalanche which resulted in 16 deaths in the Khumbu Icefall in 2014 and more recently, the rescue of those injured in the earthquake of 25th April 2015. Pasang Tenzing Sherpa is one of the six brothers so Mingma Sherpa. An accomplished mountaineer with 9 Everest Summits to his credit and 16 years high altitude climbing experience, Pasang was one of the first Nepalese to become an IFMGA mountain guide and Mountaineering Instructor. He has been heavily involved in running professional training courses for the Sherpas, which brings them up to the highest standard of International Mountain Guiding. Pasang is training chief in Nepal Mountaineering Association. President of Mount Everest Summiteers club. Our FREE talk takes place in-store on January 13th at 7:00pm. Click here to book some tickets for you and your friends.